I don’t believe in fate but . 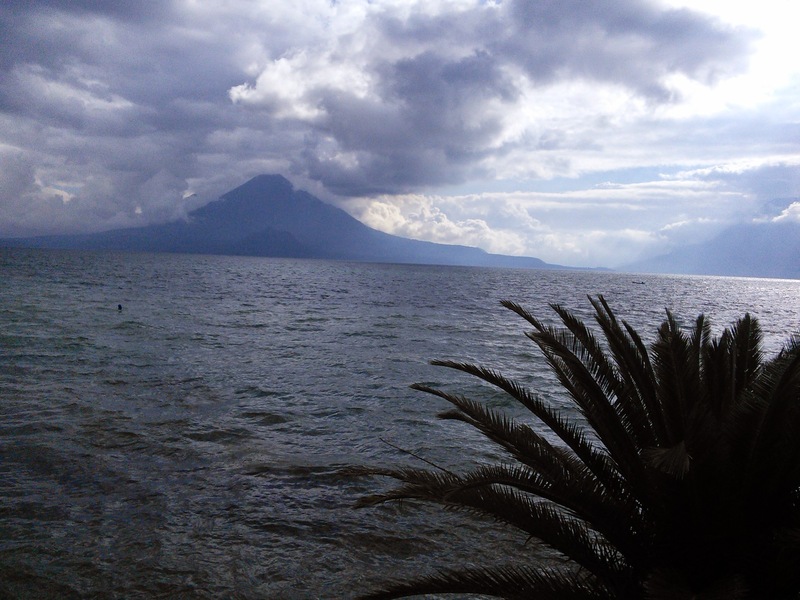 . .
We found a little studio to stay in by lake Atitlan that is perfect for us. It’s an l-shaped room with a kitchenette in the corner (3 rings and a fridge), our own bathroom, little balcony overlooking a lovely garden and our own front door. It’s owned by someone called Murray who we haven’t met yet. We’ve booked for a week initially. Next door to our place is a Jardin Botanico, which turns out to be a herb garden, growing up the mountainside. This morning we went to explore and got chatting to Edgar, the youngster who is the gardner. He told us that the garden is part of a foundation to support Mayan Tradition and that we could probably volunteer to help in the garden if we wanted to. Yes please! We took ourselves off to the office and met Erin, an American volunteer, who explained to us how the foundation works, supporting Mayan women weavers by buying their products fair trade and exporting them to companies in the US. All the money made plus further donations, support the educational programme they have put in place for the local people. The programme is currently funded 50% by donation but they hope to fund it entirely from fairly traded products. The foundation was started by Jane Mintz, but she died in 2009. It turns out that Jane lived in Murray’s house, which is the big house next door to ours. We start work in the garden at 9.00 on Monday morning and may extend our stay here if all goes well and we can afford it. Previous Previous post: Just when we thought we could relax, it happened!